Getting a house for your Bearded Dragon might be a daunting task as these lizards, especially the females, can grow really big. 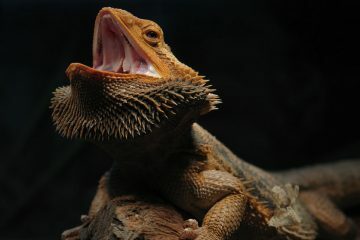 The average size of a full-grown female bearded dragon is 12”, which means you need a pretty big enclosure to house the little sucker in. If you’re having a hard time getting a vivarium for your pet, we’ve created our very own top 3 reviews for the best vivarium for bearded dragons to help you with getting the greatest home your pet could ever ask for. 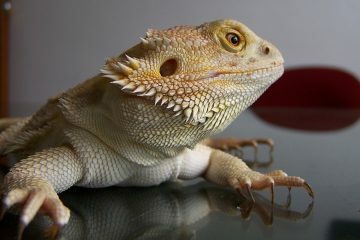 So before anything else, let’s take a look at what to consider when getting a vivarium for your bearded dragons. Aside from size, the vivarium should be dry and hot but should also have a basking spot on one end that’s cooler from the rest. Another thing to consider is a substrate that should be well enough for your lizard to dig in. You should also have a higher ground for your lizard to perch on, and an ample space to secure food and hunt. This kit is excellent as it provides all the basics that your pet bearded dragon should have. First, there’s an ample amount of substrate to dig on. Second, there’s a large stone house that a dragon would be able to perch on. The front panel consists of a 2-door opening which you can easily get into when cleaning the habitat. The top is made of a mesh screen which improves the overall ventilation combined with the front window vents. It also features a compact lighting system, all necessary decoration items, substrate, water dish, rock outcrop, plant, hiding cave and reptile care guide. Create a desert oasis or a tropical paradise with this extremely versatile home. It measures 20” x 18” x 18” which is more than enough space for even 2 adult female bearded dragons to live in. The top panel is made of a high-quality sliding metal that enhances the durability of the home. The front latch is lockable for added security and it also has the feature to include water bottles and wired accessories. 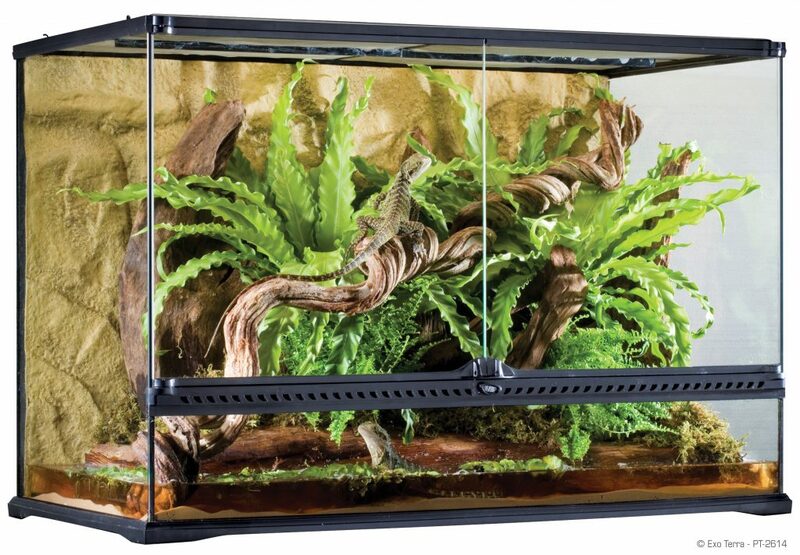 The upside to this vivarium is that it’s highly customizable and offers a really large space for multiple lizards to move in. 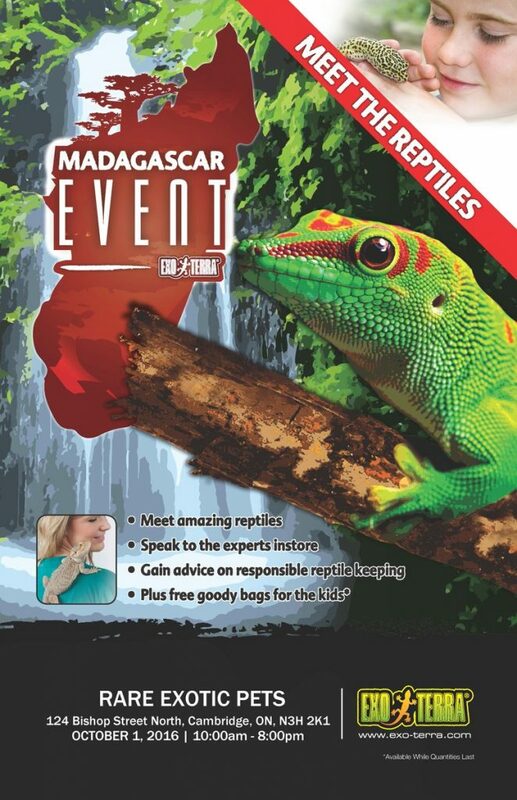 If you have a full grown female bearded dragon or have reptiles that are a bit large, this option might work well for you. This is a bigger option as compared to our first choice as it measures up to 36” x 18” x 18” depending on the size you order. This provides more than enough space for your bearded dragon to freely roam around in and it can also create a more realistic and less-restricted space for them to grow. It can also house more than one lizard due to its immense size. Ventilation is also not a problem since it has a patented front-window ventilation that allows your pets to breathe. 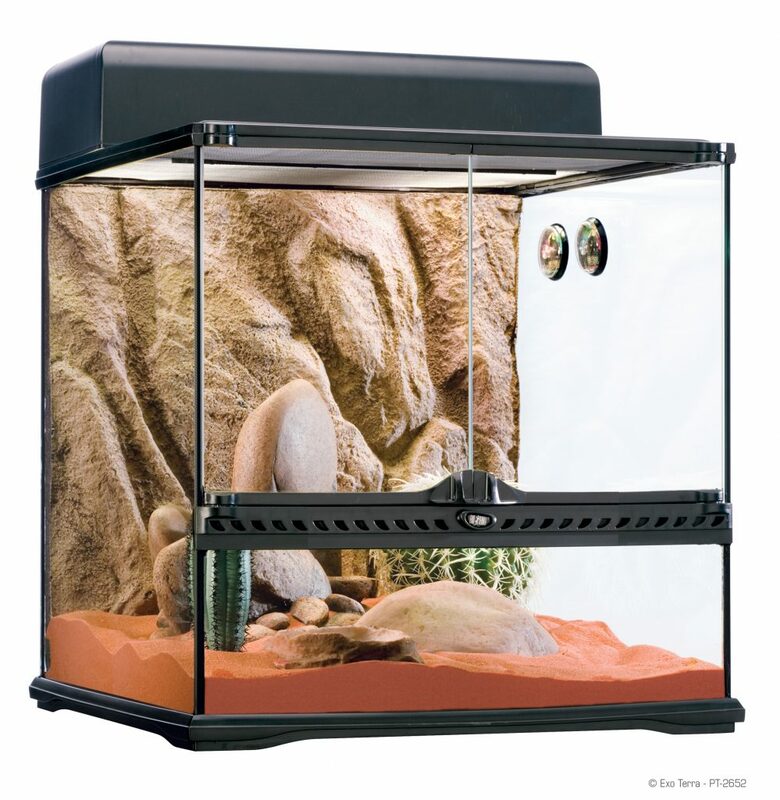 It also includes an elevated rack for a substrate tray to fit in for your digging pets. 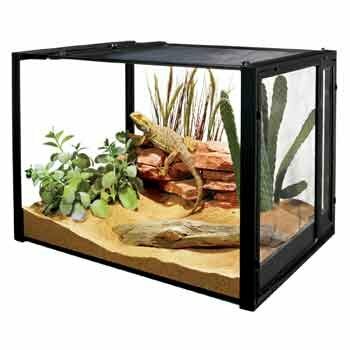 Vivariums are necessary for healthy lizard growth and these recommendations are among the best you can find in the market today. These type of homes should always be properly ventilated and should always have proper temperature to ensure that your lizards would thrive in this enclosed environment. If you’re looking for a good home for your pet or for a new hatchling, consider our options and see if they’re a good fit for you.